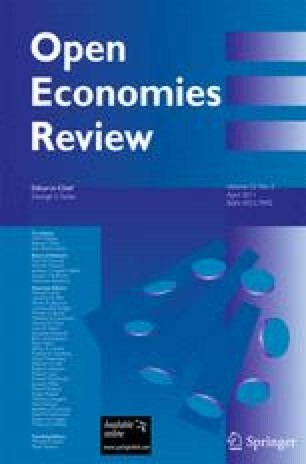 The determinants of inflation differentials in a currency area are analyzed both from an empirical and a theoretical perspective. The empirical analysis shows that a sizeable dispersion of HICP inflation rates across euro-area countries arises mostly in the components based on non-traded goods. There is also a significant cross-country heterogeneity in the response to changes in a common latent factor which accounts for a large fraction of the dispersion in national inflation rates. A stylized model of a currency area is used to understand the interrelation among shocks, structures and policies in driving the data generating process. The model shows that the dynamic of the inflation differentials is largely driven by the variability of productivity in the non-tradable sector of the more flexible economy. Conversely, the output differentials is largely driven by the variability in the productivity of the tradable sector, also of the more flexible economy. Optimal policy is investigated together with an analysis of the optimal adjustment to adopting a common currency with initial incorrect real exchange rate parity. This paper does not reflect views or opinions of the Brevan Howard AM LLP and of the European Central Bank but solely those of its authors. The authors are grateful to Kosuke Aoki, Philip Lane and Roger Farmer for very helpful dicussions and to Gianni Lombardo, Klaus Masuch, Roberto Motto and Sergio Nicoletti-Altimari as well as participants at the XVII Simposium Moneda y Crédito in Madrid and CEPR conference Designing a Macroeconomic Policy Framework for Europe in Barcelona for helpful comments. Any errors are the responsibility solely of the authors.